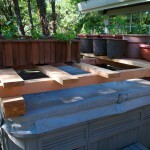 You’ve heard of a roof-top garden–here’s our version–a hot tub-top garden! 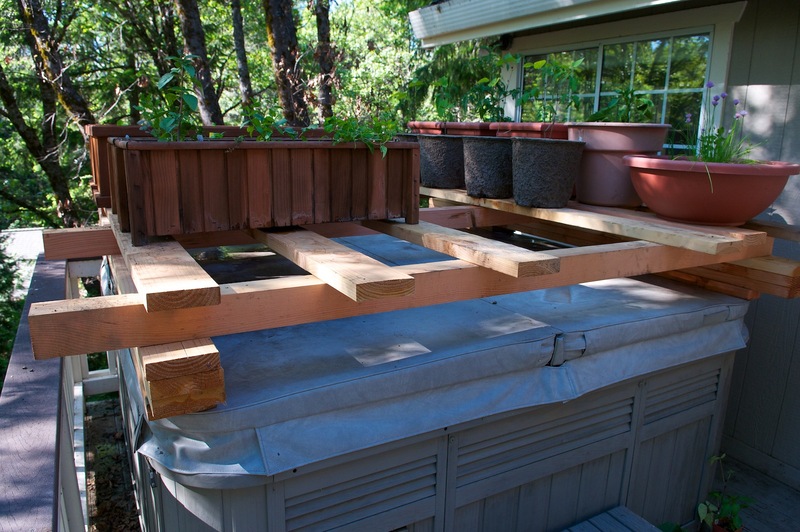 We’ve given up the hot tub to ecologize as well as economize, and ended up with a perfect space for a small garden. John and I are growing our own for the second summer season and having learned from last year’s first attempt garden, we planted this week, after June 1st, as the “old-timers” suggest. Living in the Sierra Foothills brings all sorts of blessings: four stunning seasons to enjoy, fresh air, clean water from the ground, and plenty of sunshine. There is also a lot of wildlife, many of which would eat up a traditional garden. Not to mention that we just don’t have a flat, sunny piece of dirt that would support a garden. Getting the veggie boxes off the ground and high enough up in the air to minimize having to bend over was desirous. Wanting to enhance our sense of self-sustainability, our garden is an effective and very pleasant way to supplement the fabulous organic produce I can bring home from Briarpatch Co-op or the grower’s markets in town. John and I were more ambitious this year than last, now that we have some experience–we are looking forward to harvesting a variety of tomatoes, 2 types of lettuce, rainbow chard, cucumber, purple long beans, 2 types of eggplant, zucchini (I know, not easy on a hot tub-top garden), 3 types of peppers, celery, and a variety of herbs. Yum! 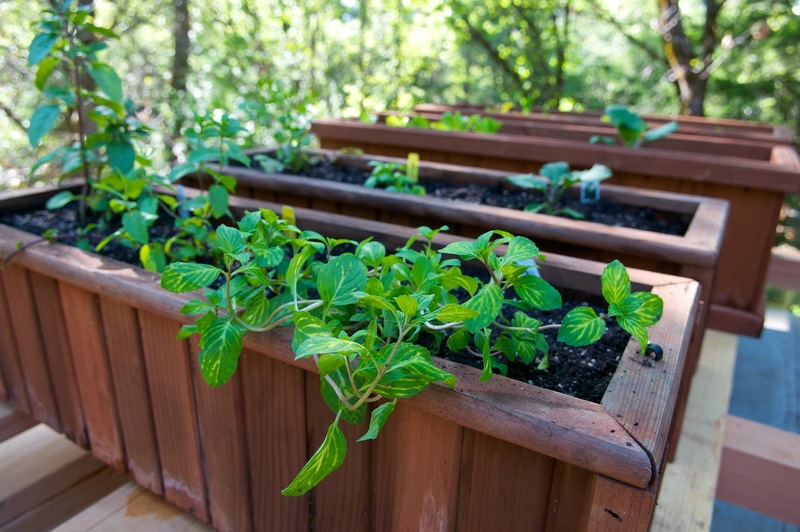 Increasingly, we are all hearing about the surge in home gardens–not only are people interested in eating more healthfully, but many aspire to maximize their self-sufficiency. 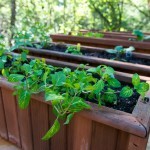 Besides, there is that rich, relaxed, and connected-to-the-earth feeling that comes from digging in the dirt, tenderly placing seedlings and seeds into the planter boxes and pots, followed by the gentle watering that takes place in the first few days. I bestow gratitude on our little plants that will soon be sustaining us at the table.